We may assume that wave (2) has already been completed. It looks like the price is going to reach a new local minimum within the next several days. 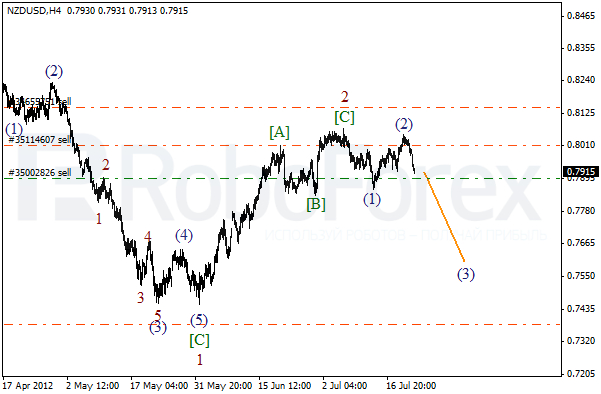 In the future, we can expect New Zealand Dollar to start forming wave (3), then reach the level of 0.7600 and fall down even lower. 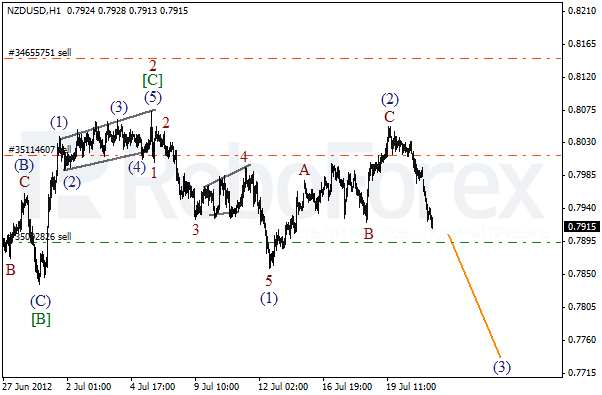 If we take a look at more detailed wave structure, which is shown on the H1 chart, we can see that wave (2) has been finished in the form of zigzag pattern. In the near term, we can expect the price to continue moving downwards. I’ve moved the stop on the second order into the black. 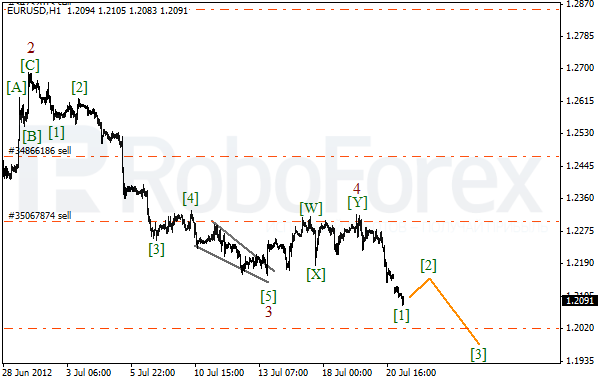 Last Friday the bears did break the minimum of wave 3. This morning the market has been opened with the gap down. Most likely, the price will continue falling down during the week. 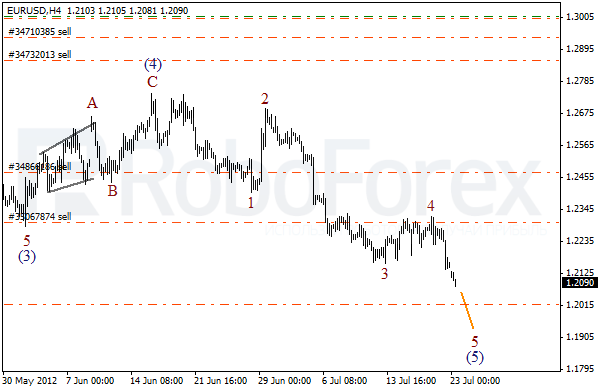 I’m planning to close the most part of my orders with Take Profit, leaving just one in case Euro continues moving downwards. Wave 4 has taken the form of double three pattern. On the minor wave level the price is finishing an initial descending impulse. During the next several hours we can expect the correction and then Euro may start falling down again while forming wave .